This stacking game’s meant to be tackled with friends—no heavy lifting required. It's a "real life" type of problem: How the heck does one best stack boxes on a pallet? Luckily, this game's designed to be tackled with friends—and it's small, so there's no heavy lifting required. 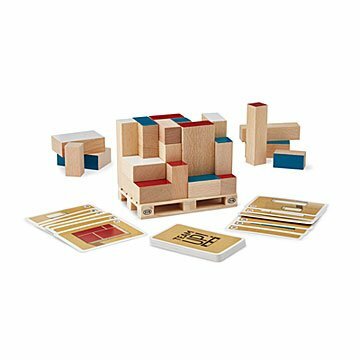 Join forces to work your spatial reasoning skills and stack wooden "boxes" as high as you can. You get points for each completed layer, and when you're done, your packed pallet makes a playful addition to your coffee table. Made in China.